Planet Hell: Now Playing -"I no can eat!" I put a bit more time into Dragon Age: Origins (360) this week. I am now doing the 2nd out of 3 recruiting ally bits in the main story, I chose to go for the Circle of Magi 2nd, mainly cos I didn't know how to get to Orzammar..hopefully that will become more apparent once I do this bit. I am still really liking this game, such a lot to do! I had a quick look at the sub quests on the Chanter's Boards, Mage Collective and the other organisation I cant remember the name of . Perhaps too much to do...I doubt I will do all the quests in this run through, as I am intending on doing another after. I started up an Elf Mage as well, to have a look at the Origin story. I am gonna try and do all the origin stories in addition to beating the game with my current character. Then we've got the expansion coming out in March at some point, which from what I've heard, will add a LOT to the game. Good times! 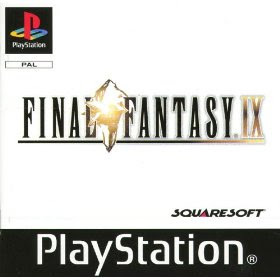 I started up Final Fantasy IX (PS1) shortly after beating VI on the GBA as I'm running low on time till XIII comes out and gonna struggle to beat IX, X and XII before then... So far (I'm about 7-9 hours in IIRC) I am liking the game world, quite a lot of charm to it. Quite cool character design. That, and the music in some places combine to really remind me of the original Final Fantasy: Crystal Chronicles (GC). I am enjoying the writing and scripting so far, it has this kind of subtle wit to it I think, which is cool. The fantasy world is quite cool, I've been really intrigued with the city of Lindblum, which is on the cusp of Steam Power, and is quite developed industrially. Some of the areas seem a bit..unimaginitive and derivative, perhaps cliched, like the rather badly named "Evil Forest" and the "Ice Cavern". I mean, these places look nice, and the music went well with them, but they just don't seem like a lot of imagination went in to making them. Ice Cavern is like the kind of thing I imagine a board of designers would come up with if they were brainstorming and just wanted to leave early-an almost perfectly linear 10 minute dungeon with walls you can press X on to burn away to reveal treasure. I am really tearing into this dungeon for no apparent reason. Its really not that bad. The characters in FFIX are quite interesting-I like Vivi and the direction they could go in with him in terms of character development and Steiner is cool-quite funny, in a deluded and pompous way. Other than that, I've played a little bit of Planescape Torment (PC) just to check it worked on my new laptop with Vista. Thankfully it does, but I'll have to play more at some point. Theres a good chance it'll have bugs and glitches that I didn't experience yet. I put Legacy of Kain: Soul Reaver (PS1) into my PS2 just to see if the mega scratched disc I got off Ebay for £1.15 works, and it does! PS1 discs are damn durable =D I was amazed to see that I still have my save from way back on the memory card, I had forgot that. Think I'm gonna start over again at some point though. Me and my cousin played some of the Horde mode on Gears of War 2 (360) and some Fifa 09 (360) for some multiplayer laughs. A few days ago, I finally finished Final Fantasy VI Advance (GBA) as part of my FF challenge. I had to put in a couple more hours than I thought I would, to get past the barrier they try to put in your way. (At least I see it that way) If you don't know what I mean, I am referring to just before the last dungeon, Kefka's Tower. As you go into it, they ask you to form 3 teams, of up to 4 members each. Now, you don't need to put 4 in each, but each of these teams HAS to fight about 3 bosses each, which can be tough. So I basically grinded up a bunch of the characters I was never intending to use in the Maranda Desert against Cactuars and the worm things I can't remember the name of. They give good AP, gil and pretty good EXP. I was really impressed with a lot of aspects of FFVI, but I think I'll leave my full impressions to a Review I've been intending doing.